Upon hearing Shi Feng say so, as if she had long since prepared for this, Sharlyn promptly handed the crimson crystal ball with the silver leopard inside it to him. "With your current standard, sensing the Soul Chain is naturally impossible for you. However, this thing here can help you," Sharlyn said as she pointed at the imprisoned silver leopard. "This thing is a Soul Beast formed using Soul Fire. As long as you absorb its Soul Fire, you will naturally be capable of seeing the Soul Chain." "Will I be able to control Soul Fire if I absorb it?" Shi Feng could not help but grow excited as he looked at the imprisoned leopard. "But how can I possibly absorb it? It's a sentient Tier 4 being, not a Mysterious Flame." It was the nightmare of countless players. Back at the Dark Den, Shi Feng had witnessed the Great Demon Knettel using Soul Fire to instantly reduce Discipline Paradise to Level 0, forcing the Guardian Knight to restart his progress in the game. Meanwhile, Soul Fire could be categorized into two types: black destruction and silver creation. The one used by the Great Demon Knettel was Black Soul Fire, which possessed frighteningly destructive power. As for the Soul Fire before Shi Feng, it was of creation. Although it was not as powerful as Black Soul Fire in terms of Attack Power, it possessed the ability to alter and mend souls. Both of these two flames were Mysterious Flames that were exceptionally hard to come by. As far as Shi Feng knew, no player had managed to control either kind of Soul Fire, even after a decade had pa.s.sed in G.o.d's Domain. If a player truly managed to control a Soul Fire, regardless of which type it was, they would become the nightmare of all other players. They would become an existence much more frightening than even a player capable of absorbing Immortal Souls. Now that Shi Feng had a chance to absorb such a flame, how could he not get excited? "Absorb a Soul Beast?" Sharlyn laughed involuntarily. "Are you tired of living? With your body, aren't you afraid of exploding? I'm having you absorb only the Soul Fire this Soul Beast is releasing right now. However, even if it is just radiated Soul Fire, there's no way you can absorb it with your current standard. The outcome will be the same even though you possess an Immortal Soul. I do know another method that can help you absorb the radiated Soul Fire. Only, you need to search for a Mysterious Flame to do so. Moreover, it needs to be a Tier 2 Mysterious Flame at the very least. Otherwise, you won't be able to suppress the power of the Soul Fire and will end up burned to ash. "Hence, the only one thing you need to do now is find a bunch of Tier 2 Mysterious Flames. If you manage to absorb the Soul Fire, you will also be able to weaken the corrosion effect the Soul Chain has on your soul. That will buy you time to search for that mysterious youth. Otherwise, with the current state of the Soul Chain, you only have another 27 days before you become that person's puppet. "Well, there's nothing to worry about even if you fail to find that person. At that time, I'll personally grant you relief, permanently erasing you from this world. At the very least, you won't have to become that person's puppet." "I only have 27 days if I don't have the weakening effect of the Soul Fire?" Shi Feng frowned slightly. He had never thought that he would have so little time. Who knew where that mysterious youth had gone to hide? After all, the place the mysterious youth had disappeared from was Blackwing City. He could very well appear in any country in G.o.d's Domain. He might not even be in any country in G.o.d's Domain. He might have distanced himself far away from human society and traveled to a remote place like the Top of the World. G.o.d's Domain was simply too ma.s.sive. Even with a chain guiding him, locating the mysterious youth in just 27 days was impossible. "That's right. Hence, you need to absorb Tier 2 Mysterious Flames or above and absorb the Soul Fire as soon as possible. This way, you'll have a little more time." Sharlyn nodded. Very seriously, she continued, "Alright, hurry up and go search for Tier 2 or above Mysterious Flames. When you've managed to absorb one, come and find me. I'll tell you how you can absorb the Soul Fire." "It's fine as long as it is a Tier 2 Mysterious Flame?" Saying so, Shi Feng summoned the Ice-Blue Devil Flame. A dark-blue flame immediately manifested above his right palm, its appearance causing the ambient temperature to decrease gradually. To forgers and alchemists, Mysterious Flames were priceless treasures. Unlike top-tier weapons and equipment, which could be obtained easily through raiding Dungeons and Field Bosses or completing quests, one needed to investigate every map carefully to locate a Mysterious Flame. Finding one within a short span of time was not a feasible task. Besides which, a Tier 2 Mysterious Flame was something capable of inciting a great war between various large Guilds. It was not something that could be found in just twenty-odd days. Even Super Guilds would barely be capable of such a feat. Fortunately, Shi Feng had known the exact whereabouts of the Ice-Blue Devil Flame and had secured it for himself as soon as possible. Otherwise, this quest would truly be his doom. Thinking about it now, he had indeed made a wise decision to secure the Ice-Blue Devil Flame back then. When Sharlyn saw the deep-blue, burning flame, an expression of surprise appeared on her face. "The Ice-Blue Devil Flame, a Tier 2 Mysterious Flame. This is a flame that only places filled with death are capable of producing. Just how did you manage to obtain it?" Sharlyn asked, greatly surprised as she looked at Shi Feng. "I just happened to discover it when I was traveling by the Hundred Ghost Forest." Shi Feng gave a casual reply. "You really have been blessed by the G.o.ddess of Fate. The Hundred Ghost Forest was cursed by the legendary Black Witch. That Black Witch was a considerably amazing existence—and only a step away from becoming a G.o.d. The curse on the Hundred Ghost Forest might not be a problem to a weakling like you, but to powerhouses, that place is an absolute forbidden ground due to the curse." Sharlyn could not restrain her laughter. "Since you already possess the Ice-Blue Devil Flame, then you indeed possess the qualifications to absorb the Soul Fire. "There are two things you need to do when absorbing the Soul Fire. The first thing is control the Ice-Blue Devil Flame and have it wrap around the radiated Soul Fire. You need to envelop the Soul Fire completely. There must not be even the tiniest of leaks. If you fail to do so and get contaminated by the Soul Fire, even though you are a heaven-blessed individual, you will similarly suffer. "The second thing you need to do is the most crucial part when absorbing the Soul Fire. After you have completely contained the Soul Fire, you have to absorb it into your body. Afterwards, you need to fuse the Ice-Blue Devil Flame with the Soul Fire. However, the Soul Fire is too strong. The fusion needs to be a certain ratio. If the proportion of Soul Fire is too high, the merged flame will damage you. If it is too low, you won't be able to display the power of the Soul Fire. Balance is a must. As for how to achieve that balance, you will have to depend on yourself for that. "I will set up a magic array to carry out this fusion for you. While inside this magic array, you'll have an easier time guiding this fusion. Once you grasp that sensation, you'll have a much easier time wielding the Soul Fire's power in the future." After saying so, Sharlyn began reciting incantations as her hand drew line after line of divine runes continuously. A short moment later, the several thousand lines of divine runes drawn transformed into a golden fourfold magic array, brightly illuminating the entire hall. "Alright, give it a try," Sharlyn said as she pointed at the golden magic array on the ground, an exhausted cast to her face. Evidently, forming this fusion magic array had not been as easy as she made it look. 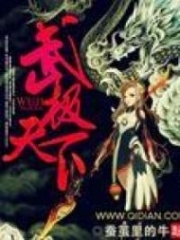 You're Read Reincarnation Of The Strongest Sword God Chapter 855 - Absorbing Soul Fire online at NovelOnlineFull.com. You can use the follow function to bookmark your favorite novel ( Only for registered users ). If you find any errors ( can't read,broken links, can't load photos, etc.. ), Please let us know so we can fix it as soon as possible. And when you start a conversation or debate about a certain topic with other people, please do not offend them just because you don't like their opinions. You're reading Reincarnation Of The Strongest Sword God. This manga has been translated by Updating. Author(s): Lucky Cat. Already has 1690 views. Current Time is 19-Apr-2019 00:53:56 AM.